Fear and Loathing in the Motherland? These are some of the countries that might arise from a collapsed Russian Federation in 30-40 years. The Jamestown Foundation has written a wonderful assessment on the recent Kremlin decision to subordinate Russia’s Armed Forces to the newly created Russian National Guard, in the event of an “internal emergency.” In 2016, the Putin Regime reorganized the Russian Interior forces that had existed for decades into this newfangled, better supplied, better trained, and better manned organization–the aforementioned Russian National Guard. In fact, with the advent of the new Russian National Guard, for the first time ever, the internal military forces of Russia would not be subordinated to regular military authority, as they were in the past. Meanwhile, the Russian National Guard’s ranks have swelled to approximately 400,000 Russian troops. This is a very interesting and telling change for Russia, seeing as the entirety of Russian defense policy has been aimed at external rather than internal threats (of course, Russian security services have long maintained a strict enforcement policy when it comes to regime stability). The decision to create such a massive force dedicated to internal stabilization, as well as the nomination of Viktor Zolotov as the commanding officer of this force, indicates that the Putin Regime is fearful of Russia’s political stability in the coming years. There are some negative trends afoot in Russia that point to the Kremlin’s decision to create such an internal military force as being reasonable (from Putin’s perspective, that is). First, there are indications that internal political dissent is reaching highs not seen since 2012, when thousands took to the streets to protest Vladimir Putin’s return to the Russian presidency. Second, there is a large (and growing) population of Muslims in Russia (most of whom are young) who are increasingly radicalized. Third, the increase of “privatization” of politics in Russia indicates that those forces that would ultimately strive to maintain the political status quo in Russia might not be available to counter whatever protests Putin fears are set to arise. This all leads to the belief on the Kremlin’s part that a well-funded and manned internal military force will be essential to prevent revolutionary activities in the coming years from being effective against the Putin Regime. For some time, I have fretted over the West’s policy toward Russia. My concern is borne out of a fear that the West (particularly, the United States) has little understanding of what its policies either have or will do to the unity of Russia. As it stands, Russia is the sick man of Eurasia. Much like the Ottoman Empire of old, the question that most global powers must answer is not so much how to break the Russian Federation apart, but instead, how to prevent its total collapse. This is made doubly more important, given the fact that thousands of nuclear warheads dot the Russian countryside. Moscow currently retains enough control over its scattered nuclear forces so as to allow for the West to have a modicum of comfort, in that it is the Kremlin calling the nuclear shots in Russia (as opposed to regional and local warlords). However, should Moscow’s authority collapse; should the Putin Regime be overthrown due to a Euromaidan-like uprising–no matter how good it would make us all feel in the West–we must consider what would become of the massive Russian nuclear arsenal (to say nothing of Russia’s massive conventional arsenal). Ramzan Kadyrov, a close and personal friend of Vladimir Putin, is a devout Muslim with radical Islamist tendencies. As Putin’s chosen leader of Chechnya, Kadyrov has vowed to exterminate anyone suspected of being a homosexual living in Chechnya. Men like this might rise to dominate the various smaller, independent states that might arise in the event of the collapse of the Russian Federation. Do you really want men like this wielding Russian military equipment (potentially even nukes)? To put it bluntly: the loss of Moscow’s authority would mean that the various republics–the oblasts–that comprise Russia would suddenly have autonomy on a level not experienced since before the Mongolian invasion of Russia. All of these republics would be vying to maintain their independence and assert their own control in their region of what was formerly known as Russia. Further, the loss of a strong central government in Moscow would mean that the ethno-religious divisions that have been subordinated to the unifying Russian government would bubble to the surface and explode, just as they did in the Balkans and the Middle East after the Cold War ended. These trends would also merge with competition for control of the vast nuclear (as well as Russia’s massive conventional) arsenal, and would come to define the region. Moreover, these newly formed republics would be seeking financial stability, and would likely sell whatever arms (including nuclear weapons) to the highest bidder. Overnight, the international non-proliferation regime, such as it is, would be destroyed with the collapse of central authority in Moscow. The creation of the Russian National Guard under the command of Putin loyalist, Viktor Zolotov, seems to be an attempt at preventing such a grim reality from occurring. Whether Putin retains power until he decides it is time to depart or not, Zolotov’s National Guard seems like a reasonable failsafe to ensuring Moscow’s control over an increasingly fragmented Russian Federation. However, the real question remains as to how effective and sustainable that control really is? Moscow has weathered political protests before. Former Soviet Premiere Mikhail Gorbachev defended his collapsing regime from Soviet hardliners who opposed perestroika, and wanted a return to Gorbachev’s original militant policy toward the West, uskorenie (acceleration). Essentially, these hardliners disbelieved that the Soviet Union needed to make a deal with the West and that, if only the Soviet state would accelerate its military spending and expand its military and intelligence capabilities, they could overcome the United States rather than being cowed by it. They also opposed Boris Yeltsin’s plan (which had been grudgingly accepted by Gorbachev) to allow for the Soviet Union to recognize the independence of Russia and several other Soviet states (thereby dissolving the USSR). Then, of course, in 2012, when Vladimir Putin made his political “comeback” (after having subordinated himself into the Prime Minister’s role in 2008 and allowed for his long-time protege, Dmitri Medvedev, to takeover as Russian president) a large swathe of the Russian population rose up in protest to Putin. From that moment onward, Putin vowed to “hit back” at the West, the group that he believed was secretly behind the mass protests. Today, as the West reels from continual accusations of Russian election tampering and cyber attacks; as the West is inundated with #FakeNews, Putin is apparently steeling himself to the possibility of what he believes to be a Western counterattack in the form of more protests. Of course, there is no evidence linking the West to the protests. In fact, given how unorganized the mass protests were, and how relatively easy it was to put those protests down, it seems inconceivable that the West would have had any serious role in fomenting the opposition to Putin’s strongman rule. How prevalent is the risk of an uprising against Vladimir Putin’s rule (and how likely is it to succeed)? What is the importance of Zolotov’s position as commander of the Russian National Guard? What comes after Putin (and how will it affect U.S. foreign policy)? Question 1: How prevalent is the risk of an uprising against Vladimir Putin’s rule (and how likely is it to succeed)? Writing in his brilliant blog, Professor Paul Goble of the Institute of World Politics, addresses this question directly. Polling conducted in Russia by VTsIOM indicates that the percentage of Russians who believe protests are likely in their regions have risen by five percentage points from 30 to 35%. As Goble documents, the head of VTsIOM, Valery Fedorov, explains that the increase is based off of the fact that there was a recent wave of popular protests on May 26 of this year. In fact, it is assumed by many Russians that the protests tend to feed off of each other. As for how likely it will succeed, or even what the protests are aimed at, that is another matter entirely. Given how the Kremlin denies there are any divisions within the Russian elite, and that Putin has resumed his rhetoric regarding Russia being under siege, indicates that the government is worried. More than any other issue dominating Russian politics has been the issue of federalism. Since 2005, the Kremlin has been rolling back Yeltsin-era reforms that were aimed at disaggregating increasing levels of power and authority away from Moscow and toward the individual oblasts in Russia. In what was likely a response to the color revolutions that tore across the former Soviet space, the Putin Regime sought to increase centralization in Russia, and to reassert Moscow’s dominion over its own territory. This trend has continued since then. In the aftermath of the 2012 protests directed against Putin and the Euromaidan protests that ousted pro-Putin Ukrainian leader, Viktor Yanukovich in 2014, the Putin Regime has doubled-down on its desire to ensure that Moscow controls Russia. Over the years, the leaders of the individual oblasts have been those political figures who are closely associated with Putin, and who are therefore heavily invested in the continued survival of the Putin Regime in Moscow. For the most part, Putin’s goals of intensifying Kremlin authority over the far-flung regions of the Russian Federation have been successful. 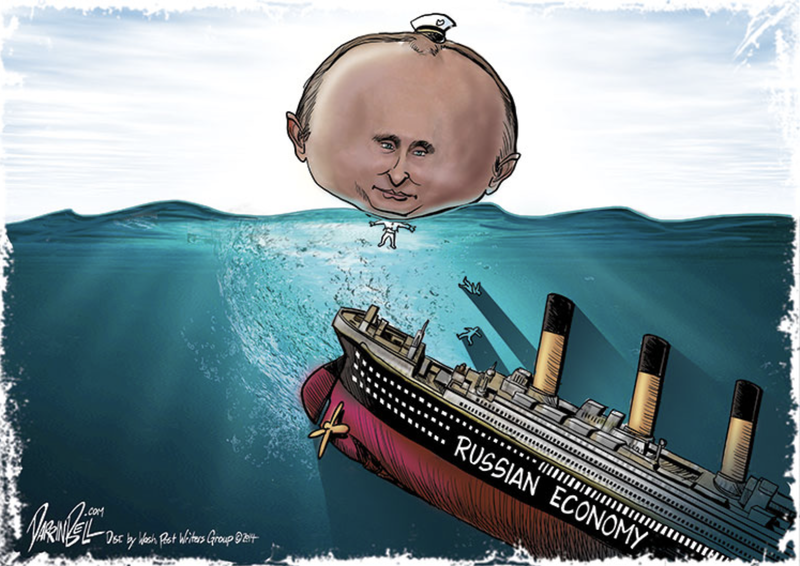 However, the tighter that Putin increases his grip on Russia, the greater the pushback has been on these actions–especially in the face of declining economic opportunity. People in the far off regions, who are Russian, but are also of ethnic and religious minorities within Russia, are increasingly turned off by Moscow’s attempts at greater centralization of power. These Russian citizens wish to exert greater autonomy over their lives by elevating local governments over Moscow. This has become an emotional issue that is now generating mass resentment and, therefore, popular protests against Putin’s rule. There are ancillary issues dividing the Russian polity as well. Notably, the Russian government’s insistence on tamping down on all forms of public protest, particularly after the 2012 popular protests against President Putin. In recent days, the Russian government has restricted protests involving automobiles, after the recent spate of strikes in which Russian truckers took their protest to the streets, in their vehicles, disrupting daily life and bringing what the Moscow authorities viewed as undue attention unto their plight. Meanwhile, ethno-religious tensions within Russia are at an all-time high. At the same time that President Putin admonishes the West for stoking the flames of Islamophobia, the Putin Regime enacts increasing restrictions upon the large Muslim and non-Christian minorities in Russia. This is an especially interesting development, since so many non-Christian populations in Russia reside in the Russian Far East–the very area that the Putin Regime has tethered a great many of its hopes for the future to. These far-flung, culturally and ethnically diverse regions, already feeling the squeeze as Moscow asserts its authority in every facet of life, are likely the first to break away from Moscow, should something catastrophic on a geopolitical scale occur. And, Russia without Sibera–without access to its Far Eastern holdings–is not Russia at all. It is simply Muscovy. The second part to the question: how likely are protests to succeed in threatening regime stability is a stickier wicket. However, it should be noted that the farther away from Moscow, the likelier that a) protests will occur and b) that those protests will take longer to put down. Hence, the need for a 400,000-strong Russian National Guard. As we’ve seen, the longer that protests occur in Russia, the harder it will be stop them from gaining support and notoriety; the more notoriety they gain, the more pressure the Putin Regime will be under. It’s a vicious cycle. And, with all of the economic problems currently facing Russia, it could be the toxic mixture needed to end the Putin Regime. Of course, with the presence of such a massive National Guard force under the command of an old hardliner, like Zolotov, the situation in Russia could rapidly devolve from annoying–but mostly peaceful–protests on the periphery of Russia into full-fledged uprising in no time. While unlikely at this point, the potential exists that such protests could mirror the way that the situation in Syria devolved from mass protests into full-fledged unrest, attempted revolution, and leading to interminable civil war. The harder and more violent the Putinists crack down on such protests, the greater the chance of devolution into devastating civil conflict. Thus, the implosion of the Kremlin’s authority and the Putin Regime could very well lead to a Syria or Yemen-type civil war, only on a far grander scale and involving the world’s largest nuclear force. Question 2: What is the importance of Zolotov’s position as commander of the Russian National Guard? The presence of General Viktor Zolotov is important in this matter. For, if things were to completely break down in Russia’s political system, the presence of such a massive internal military force, like the newly developed Russian National Guard, would be insufficient to quell the uprising. After all, Bashar al-Assad of Syria as well as Muammar Gaddafi of Libya both possessed far superior fighting forces compared to the rebels they ultimately faced and, in the case of the former, the rebels are clinging on and, in the case of the latter, the rebels vanquished the autocrat. Yet, the presence of not only a willful autocrat, such as Putin, but also the fact that the National Guard is led by such a traditional Russian hardliner–a pure Putinist–indicates that the force will be well-lead and will be difficult to overcome, much like the Assad forces have been throughout the Syrian Civil War. In many instances of political instability, weaker commanders may either fold or lose to the popular will of the crowd. Remember, when the Arab Spring swept over Egypt, the American-trained, mostly-secular Egyptian military refused to go too far in restraining the popular urges of the Egyptian people–even if it meant seeing the rise of Mohammed Morsi and the Muslim Brotherhood into power. Ultimately, it took a few years of experiencing just how frightening life under a powerful totalitarian Muslim Brotherhood-led government was before the Egyptian military decided to snap into action, and prevent Morsi and his allies from completing their rise. In a certain way, Egypt got lucky that it avoided the fate that ultimately befell either Libya or Iran after the 1979 revolution. With Zolotov in charge of the massive Russian National Guard force, there is little doubt that the Putin Regime has a strong chance of negating whatever popular protests may arise in the coming days. Of course, again, Zolotov being a total Putin lackey implies that too strong a response to any mass protests in Russia will, in fact, create the very same revolutionary conditions that the Kremlin seeks to avoid. A critical element in this assessment is that, so long as Zolotov is in charge, there is a greater chance that the massive Russian nuclear arsenal will be secure in the event that Russia does break out in revolution. But, for how long can Zolotov defend these positions? During the Syrian Civil War, we have seen instances of anti-Western rebels obtaining access to WMD. Similarly, during the Libyan Civil War in 2011, there was great fear that Gaddafi’s rudimentary chemical WMD arsenal may have fallen into jihadists’ hands–and that was even with stiff resistance from government forces. Still, though, the Russian political situation is unlike the political situation facing the Mideast. Whatever protests may arise; whatever hardship Putin’s tenuous grip on power may face, with the strong arm of the Zolotov-led National Guard at Putin’s side, and the disparate and unorganized nature of any potential Russian protest movement, it is likely that the Putin Regime will remain in power. Zolotov’s presence as commander of the National Guard in Russia is a significant factor in this that cannot be overlooked. For, even if all else failed, Zolotov is a creature of the Putin cabal and would command his forces–and potentially the Kremlin–in much the same fashion that Putin has. Yet, given Zolotov’s age, it is safe to say that time is neither on his nor the Putin Regime’s side. Ultimately, the strongman always goes away. Whether it is being thrown on his rear end, the way that the Shah of Iran was; whether it be death by the people, as was the case for Gaddafi; or whether it is simply old age; the autocrat always perishes. In many cases, as was the case in Hugo Chavez’s Venezuela, the replacement is never as innovative or capable of leading the organs of state in the fashion that the original autocrat was. Thus, the Putin Regime’s days are numbered to however long Vladimir Putin himself can cling on to power (this is something that Putin likely realized in 2011, which explains why he ultimately returned to the presidency again). The centrifugal forces of Russia are yet again working against the regime there. Traditionally, for the regime to retain power, it must invoke the silnaya ruka–the rule of the strong hand. Just as Catharine the Great did during Pugachev’s Rebellion, it will only be brute force that puts the rebellion in the far off hinterland down. Putin has masterfully positioned himself for that. But, whether that is effective or not is irrelevant. Time is not on Putin’s side. While there are some youthful figures surrounding Putin, for the most part, the Regime is aging. Therefore, any potential Putin successor will also be working against the clock. There’s something more also, the changing demographics of Russia are working against Putin. In the Russian Far East, national unity is dying as increasing numbers of Chinese, Korean, and Japanese immigrants overwhelm the ethnic Russian population there. Meanwhile, the Muslim population in Russia is expanding and, like in Europe and Canada, many of the Muslims in Russia are not assimilating fully into the larger Russian culture. They are retaining much of their original cultural identity which is having profound impacts on the Russian state–and will continue to do so, over time. All that this means is that there is a potential for one of three instances to occur in a post-Putin Russia: either the country continues on under strongman rule; the country collapses into competing republics that have access to the nuclear arsenal; or the country is taken over by a radical leader, either a nationalist or an Islamist. All that this means is that Russia’s future is bleak and the United States and its allies will have to formulate a plan for managing the collapse of Russia in the same way that the European powers needed to craft a post-Ottoman Empire strategy for the Mideast (and, hopefully, do a better job than the Europeans did). However, the presence of nuclear arms seriously complicates this task. Without nuclear arms, the collapse of the Russian Federation would be no different than the collapse of the other empires in the last 100 years. It would be shocking; it would certainly inspire regional violence and international political disruption, but it would not be any worse than what we experienced in the Balkans or the Mideast following the end of decolonization and Cold War. However, with nuclear arms, a chaotic Russian collapse would be one of the most horrifying experiences in international affairs yet. It would not only destabilize Eurasia, but it would potentially land highly advanced nuclear (and other) weapons into the hands of jihadists and other terrorists around the world, who could use those weapons to target the United States and its allies. Perhaps the greatest issue affecting Russia today is the U.S.-backed sanctions regime that the Obama Administration imposed following Russia’s unlawful annexation of the Crimean peninsula. Today, Russian forces threaten both Eastern Ukraine and much of the rest of Eastern Europe, as Putin plays a game of chicken with the West, trying to see which side will blink first in Russia’s annexation program for the former Soviet territories. The sanctions regime has been mostly effective in nullifying whatever economic progress the Russians had made since orienting their economy around the vast wealth of natural resources that they have access to. Since the 1990s, the Russians have worked hard to exploit their natural gas and oil resources in order to sell these resources to neighboring Europe. Over time, Europe–specifically countries like Germany and France–have become dependent on the cheap, readily available, geographically close Russian resources. The sanctions limit and complicate Europe’s ability to trade with the Russians and, therefore, have created an economic downturn in Russia. However, a little known component of this sanctions regime has been the economic opportunity that has been denied to our European friends, at a time when Europe’s economy is flagging (and, because of that flagging economy, Far Right and Left political parties seeking to divide Europe have risen to prominence, thereby threatening American foreign policy in Europe). This could spell the end of the Putin Regime and unleash revolutionary forces that either dissolve the country entirely or see the rise of an even more terrifying Russian leader. One thing is certain, however, whereas the Washington foreign policy establishment sees a fearsome foe, poised to strike at any moment, we should see an ailing empire on life support, about to go in the wrong direction. Putin has made it his cause to increase Russia’s fertility rate and its overall population density, so as to stabilize his political situation and to goose the Russian economy. However, that is a long-term project and his prospects at achieving this goal are fleeting–especially with the Chinese poised to gobble up Russia’s Far East, thanks to their higher birth rates than those of the Russians living in the Far East. The Putin Regime is clearly frightened by the political trends working against it. The creation of the Russian National Guard forces is but the most prevalent example of how fearful the regime is. Given the demographic shifts in the country; the fact that most Russians are becoming increasingly isolated away from Russian society; the economic damage the U.S.-backed sanctions have done to Russia (and to their European trading partners), the Putin Regime is about to be put through its most difficult test. In the process, given his penchant to believe #FakeNews, Mr. Putin may decide to get riskier and bolder with his military actions in “response” to what he perceives to be a covert Western challenge to his authority in the form of internal dissent. He might decide to fully lash out against American and Western forces operating in Syria or in Eastern Europe, as a last dig at America. Unless America and its European allies are willing to risk open warfare with the Russian Federation (which they are not), then it would behoove the Trump Administration to seek a reduction in hostilities with the Russians. Of course, we should not abandon our friends in Eastern Europe. As I have argued, increasing their ability to defend themselves–even with nukes, in Poland’s case–is the best deterrence to Russian irredentism in the region. However, the United States should also look to Hall Gardner’s plan for creating a longer-lasting peace in Ukraine between the West and Russia. We should also look at loosening the sanctions on Russia. After all, the only thing more frightening than Vladimir Putin’s Russia is a Russia that is either broken up into new, competing states with nuclear weapons, or a Russia ruled by either an ultra-nationalist strongman or an Islamist totalitarian. Next Where Is Paris In the Moscow-Berlin Axis?